CORVALLIS, Ore. – A continuous wall on the border between the United States and Mexico would harm a multitude of animal species by fragmenting their geographic ranges, Oregon State University distinguished professor of ecology William Ripple has concluded, supported by thousands of other scientists around the globe. Ripple is one of 16 co-authors from the U.S. and Mexico, including four members of the National Academy of Sciences, of a paper published today in BioScience that outlines the wall’s impacts on biodiversity. So far, more than 2,600 scientists from 43 countries and six continents have endorsed the article as signatories. The authors include Rob Peters and Jennie Miller of the conservation nonprofit Defenders of Wildlife; Peters is the lead author of the paper. 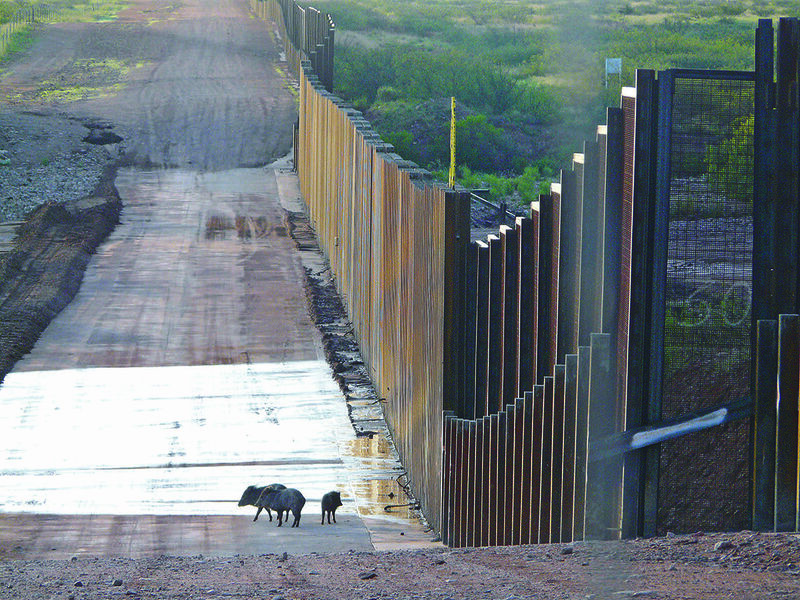 Ripple, Peters, Miller and the others describe three ways the border wall and other security measures would threaten biodiversity: by not adhering to environmental laws, eliminating and fragmenting animal and plant populations and habitats, and devaluing binational research and conservation investments. Ripple and the other authors and signatories urge the U.S. government to follow, rather than waive in the name of homeland security, federal environmental laws such as the Endangered Species Act and the National Environmental Policy Act. Work to facilitate scientific research in the border region. As of 2017, the DHS had constructed 1,050 kilometers of pedestrian and vehicle barriers, the paper notes. The border region, the paper states, is home to 1,506 native terrestrial and freshwater animal and plant species. Sixty-two of those species are listed as critically endangered, endangered or vulnerable by the International Union of Conversation of Nature. Scientists are invited to join as signatories here. In 2017, Ripple led an international team in issuing “World Scientists’ Warning to Humanity: A Second Notice,” which garnered more than 20,000 signatures from 184 nations. Scientists can still join as signatories on that article as well at http://scientistswarning.forestry.oregonstate.edu/.